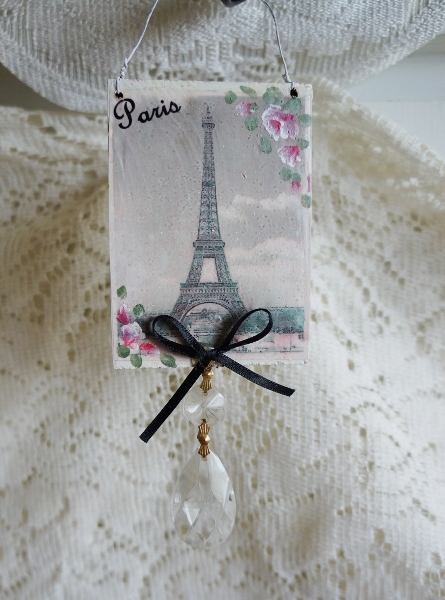 How cute is this Eiffel Tower-Paris peg hanger. 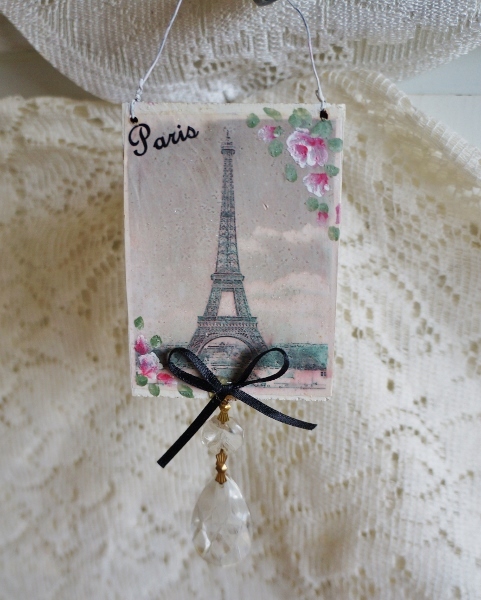 This would be so cute on a peg hook, hanging in a window or knob or evan hanging on a tree. 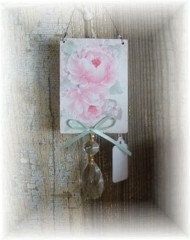 I hand painted tiny romantic roses, then I added a prism with a ribbon.